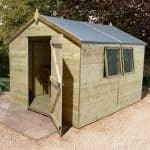 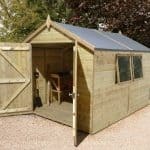 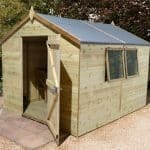 A really attractive rustic looking shed with a useful, functional stable door feature and complete with windows allowing light and air inside. 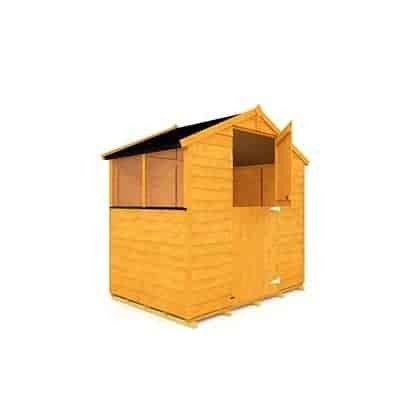 Suitable for smaller spaces or used as an additional outbuilding it’s perfect for light gardening storage, small pieces of garden furniture and children’s toys. 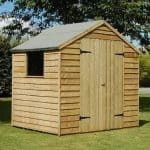 Sturdy and hardwearing it will last for years and still look great. 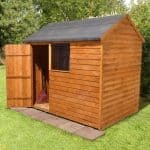 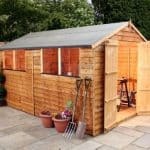 This shed is constructed from hard wearing wood and comes with classic rustic overlap cladding.